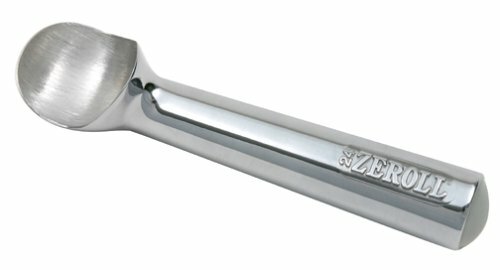 Size:1-1/2-Ounce | Color:24-Silver This original Zeroll high-lustre aluminumscoop won't tire the wrists. Comfortable in the right or left hand. Rolls icecream smoothly into a ball and releases instantly into cone or dish. Notdishwasher safe.